Sulay Hernandez has been in the publishing industry for more than a decade, beginning as an intern at Penguin Books. She has worked as an assistant at the Vigliano Literary Agency, an editorial assistant at Kensington Books, an editor at Simon & Schuster, and as a senior editor at Other Press. She is currently the owner of Unveiled Ink Book Consulting. As a generalist, Sulay has worked on literary and genre fiction, narrative nonfiction, and books in translation, many of which have become national and international bestsellers and critically acclaimed award-winners. She was an adjunct professor for the City College of New York’s Publishing Certificate Program, taught in Simon & Schuster’s Publishing 101 Lecture Series and participated in the CBS Speaker Series. Sulay holds a B.A. and M.F.A. from Sarah Lawrence College and is bilingual in English and Spanish. She has a particular interest in multicultural stories, science, politics and sports. 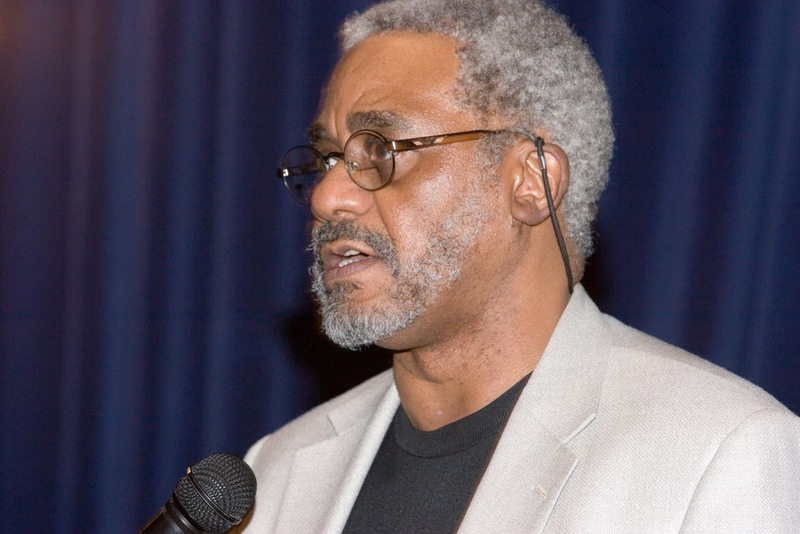 Dr. Charles Johnson is a novelist, essayist, literary critic, short-story writer, philosopher, and professor emeritus at the University of Washington, Seattle. He has published thousands of drawings as a cartoonist and illustrator, two collections, Black Humor (1970) and Half-Past Nation-Time (1972), and created, co-produced and hosted the 1970 PBS drawing program “Charlie’s Pad.” Charles Johnson is a MacArthur fellow, the recipient of an American Academy of Arts and Letters Award for Literature and a National Book Award for his novel Middle Passage (1998). He is the guest editor of American Book Review's new special issue: The Color of Children's Literature. His latest book, just published, is Taming the Ox: Buddhist Stories and Reflections on Politics, Race, Culture and Spiritual Practice. Elisheba Johnson is a life-long participant in the arts. She collaborated with her father, Charles Johnson, to create Bending Time, The Adventures of Emery Jones, Boy Science Wonder. "The main characters, nerdy Emery Jones and his female sidekick Gabby, a hard-of-hearing classmate, are bullied because they are different and socially awkward, a common feeling among 10-year-olds." Elisheba Johnson is a Cornish College of the Arts fine arts graduate who works for the Seattle Office of Arts and Culture. 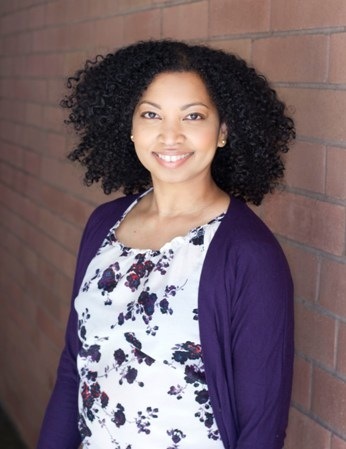 She is also the executive liaison for the Seattle Arts Commission, where she assisted the Office’s curator Deborah Paine with the Ethnic Heritage Gallery and launched a roster for visual artists of color. This roster will be a way of showcasing artists that have been left out of traditional gallery and exhibition spaces. Cheryl Klein is the executive editor at Arthur A. Levine Books, an imprint of Scholastic Inc. Among the books she has edited are SHADOWSHAPER, by Daniel José Older, EIGHTH-GRADE SUPERZERO, by Olugbemisola Rhuday-Perkovich; THE SAVAGE FORTRESS, by Sarwat Chadda; MARCELO IN THE REAL WORLD and THE LAST SUMMER OF THE DEATH WARRIORS, by Francisco X. Stork; OPENLY STRAIGHT, by Bill Konigsberg; and ZOE GETS READY by Bethanie Deeney Murguia. Her book SECOND SIGHT: AN EDITOR’S TALKS ON WRITING, REVISING, AND PUBLISHING BOOKS FOR CHILDREN AND YOUNG ADULTS is now available through Amazon.com. Please visit her website at www.cherylklein.com or follow her on Twitter at @chavelaque. Month, a Notable Book for a Global Society by the International Reading Association (IRA), and a Notable Social Studies Trade Book for Young People by the National Council for the Social Studies and CBC, and to the Kansas National Education Association (KNEA) Reading Circle Catalog. I am also a contributor to OPEN MIC: Riffs on Life Between Cultures in Ten Voices (Candlewick, 2013), and BREAK THESE RULES: 35 YA Authors on Speaking Up, Standing Out, and Being Yourself (Chicago Review Press, 2013). I have 10+ years in literacy education and youth development work with children, adults, and families, including SEL (social and emotional learning), and was twice awarded a public service fellowship from the Echoing Green Foundation for work with girls and young women. I hold a certificate in the teaching of writing from the Teachers College Reading and Writing Project at Columbia University, an M.A. in Educational Technology and English Education from the Steinhardt School of Education at New York University, and a B.Sc. from Cornell University. I am a member of the Society of Children’s Book Writers and Illustrators (SCBWI), PEN, and the Advisory Board of Epic Change. I am a member of The Brown Bookshelf, a Web site dedicated to highlighting Black and Brown voices in children’s literature, and Smack Dab in the Middle, a community of middle-grade authors. “I will be the first to admit that Gabi is a lot like me. She is, however, braver than I ever was.” Like her protagonist in Gabi, a Girl in Pieces (Cinco Puntos, Sept. 2014; Gr 9 Up), Isabel Quintero began writing poetry early, wrestled with her body image and her Mexican American family’s expectations, and dreamed about leaving home to attend college. But Quintero’s fictional teen must also contend with a parent with a drug addiction, the ups and downs of high school life, and the pain and drama that they both entail. Through her writing, the sometimes vulnerable, often feisty teen with a big heart questions the world around her; navigates her relationships with friends, family, and a first romance; and begins to build the life she wants to lead. Isabel Quintero lives in the Inland Empire of Southern California with her husband. Her love of reading and writing comes from her mother reading to her before she went to bed and from the teachers who encouraged her to keep writing. Her love of chorizo and carne asada tacos comes from her dad grilling on Sundays. She is a former elementary school library technician and currently teaches at two community colleges. Danette Vigilante grew up in the Red Hook Houses in Brooklyn, New York. She now resides in Staten Island with her husband, two daughters, two puppies, lots of goldfish and a cat with a bad attitude. Danette is the author of SAVING BABY DOE and THE TROUBLE WITH HALF A MOON, a 2012-2013 Sunshine State Young Readers award nominee. Stacy Whitman is the founder and publisher of Tu Books, an imprint of Lee & Low Books that publishes diverse fantasy, science fiction, and mystery for children and young adults. Books she has edited include Joseph Bruchac’s AILA YA Award and Top Ten Quick Picks title KILLER OF ENEMIES and SUMMER OF THE MARIPOSAS by Guadalupe Garcia McCall, which received a starred review from School Library Journal and has been placed on numerous lists, including the Amelia Bloomer Project, School Library Journal’s Best of 2012 List, and the Lone Star Reading List. She holds a master’s degree in children’s literature from Simmons College. Leila Gómez Woolley writes to give voice to the feelings experienced by children forced to abandon their homes and everything they cherish. Los Pirineos is the story of many children around the world who suddenly find themselves aliens. Leila majored in Spanish and Latin American Literature in college and graduate school. Leila became a bilingual teacher in a school that had little love for its immigrant Latino students. The classes needed help in the sciences, and Leila remembered how she loved nature. She went back to university to complete another graduate degree, this time in Environmental Science. In time she retired from a fulfilling career as a Science and AP Spanish teacher and began to write. Leila has two grown children, three grandchildren, two cats and a parrot. At present she is revising her manuscript into a graphic novel form. Sara Woolley is an award-winning illustrator and graphic novelist living and working in Brooklyn, NY. Her work has been recognized by the New York Society of Illustrators, the Society of Illustrators Los Angeles, and most recently by 3×3 Magazine of Contemporary Illustration. She has worked on a variety of exciting projects for clients including Scholastic, Random House, Parallax Press, The New Castle Science Convention, and Round Robin Editrice IT. She has also had the pleasure of creating innovative costume pieces, puppets and and props for film and theatrical performance. Credits include the feature film Monkey Bone, and Vital Children's Theater NYC. Sara also had the fun distinction of being chosen as the VOX Vodka featured Artist for Martini Week San Francisco. Sara's ongoing personal project, a fictionalized graphic memoir written with her mother and art partner Leila Gómez Woolley, Los Pirineos, the Mostly True Memoirs of Esperancita Gómez, was singled out for award by the National Association of Latino Arts and Culture. Los Pirineos chronicles a young girl’s upbringing in and exile from 1950’s Colombia, and is told through the lens of childhood imagination. It is deeply personal while giving voice to a common immigrant experience. Sara currently teaches Illustration for the Academy of Art University, where she earned her MFA. After seventeen years at Harper Collins Children’s Books, Phoebe Yeh moved to Random House in June 2013 where she is VP/Publisher of Crown Books for Young Readers. Yeh will acquire and publish new books with a focus on middle-grade fiction and narrative nonfiction. She is launching her first list this fall with titles by Lou Anders, Suzy Becker, Jon Meacham and Walter Dean Myers. From editing the Magic School Bus and the Big Nate series, she knows what kids like. And she plans to foster diverse new talent in this vein.